Press Release: February 10, 2019 By Sanman Promotions – Sanman boxer Ben Mananquil (W17 KO4 L1 D0) won big on the road as he dominates Tenta Kiyose in Japan to bag the WBO Asia Pacific Bantamweight Championship belt. The classy Mananquil started slow calculating the moves of his opponent breaking down his defense and schooling him round by round. 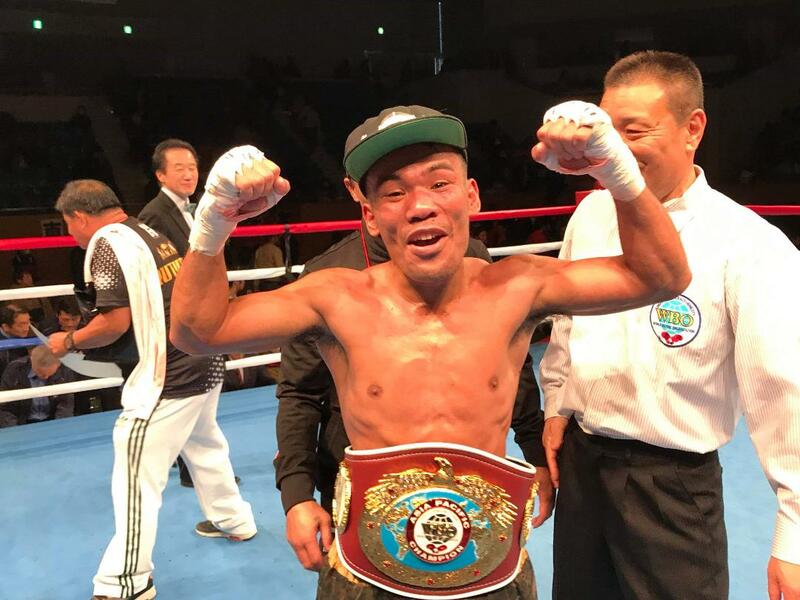 Mananquil saw his chance in the eighth round and dropped Kiyose to the canvass. The Japanese fought back like a warrior but was no match to the stylish Filipino who won by Unanimous Decision. Material and Photo Credit: Sanman Promotions. Used with permission.